New research suggests that lack of sleep and untreated depression may increase the risk of Alzheimer's disease, even for those who do not have a genetic predisposition for the disease. Depression and sleeplessness have long been considered symptoms of Alzheimer's disease. This study indicates that whether in combination with genetic risk factors or on their own, untreated depression and lack of sleep may lead to the onset of Alzheimer's disease dementia later in life. "Previous research has attempted to explore the relationship between depression, sleep disturbance and Alzheimer's disease. 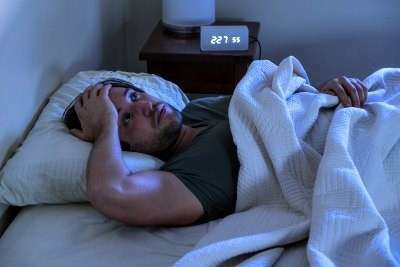 Our research is significant in that it is the first to find an increased risk of Alzheimer's disease due to insomnia and depression independently, as well as in combination with genetic risk factors," said Shanna L. Burke, assistant professor of social work at the FIU Robert Stempel College of Public Health & Social Work. Alzheimer's disease currently affects more than 39.9 million people worldwide. In the United States, it is the most common form of dementia in the elderly, affecting 1 in 10 people over the age of 65. Although treating the genetic risk factors for Alzheimer's disease isn't possible yet, these findings suggest that alleviating depression and sleep disturbance may decrease the chances of a person developing the disease. Burke served as the primary investigator for the study. She and the other members of the research team—Peter Maramaldi, Tamara Cadet and Walter Kukull—present their findings in Associations between depression, sleep disturbance, and apolipoprotein E in the development of Alzheimer's disease: dementia, which was recently highlighted as "Paper of the Month" in the journal International Psychogeriatrics. Commentary and associated findings on the study were provided by Dr. David Steffens, chair of the department of psychiatry at the University of Connecticut. "Future studies are needed to better understand the role of sleep in development of Alzheimer's Disease, either as an independent risk factor or as a key depressive symptom that might further unlock the link between depression and Alzheimer's," said Steffens.